In A.G. 101 a mysterious entity known only as "UE", or "unknown enemy", attacks and destroys the space colony Angel. This brutal attack becomes infamous as the "The Day the Angel Fell", and marks the beginning of humanity's war for survival. The series begins in A.G. 108 when the UE attack the space colony Ovan, where Flit Asuno lives with his mother. Flit's mother is killed by the UE, and in her belongings he discovers the blueprints for a powerful weapon from the past - the ancient messiah named "Gundam." From these blueprints, Flit spends the next several years studying engineering at an Earth Federation base on the Nora space colony and designing the AGE-1 Gundam. Seven years later, in A.G. 115, Flit completes the Gundam, just as the UE attack Nora. 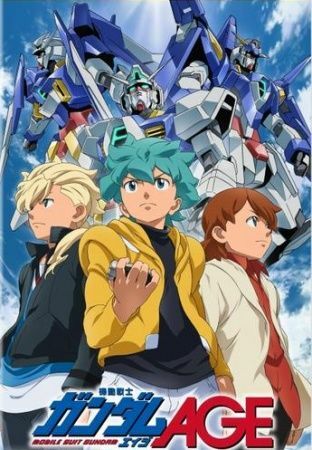 Flit and his lineage's battle piloting the AGE-1 to protect mankind is about to begin.